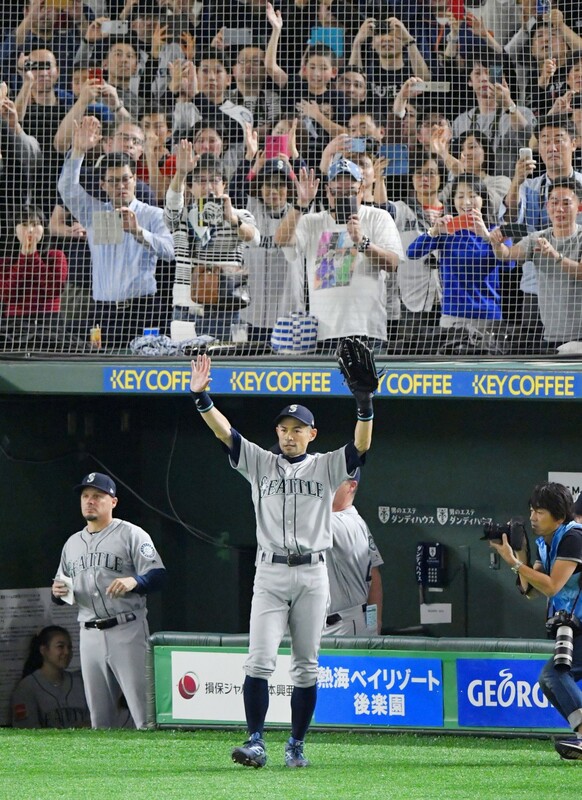 Iconic Japanese superstar Ichiro Suzuki, who has more hits in professional baseball than any other Japanese player, walked away from his career to thunderous applause on Thursday. "When I look back on it, 28 years doesn't seem that long a time," he said after the game. "It's impossible to review every step along the way. But I'm filled with gratitude for the fans, for the people with the teams and my teammates." 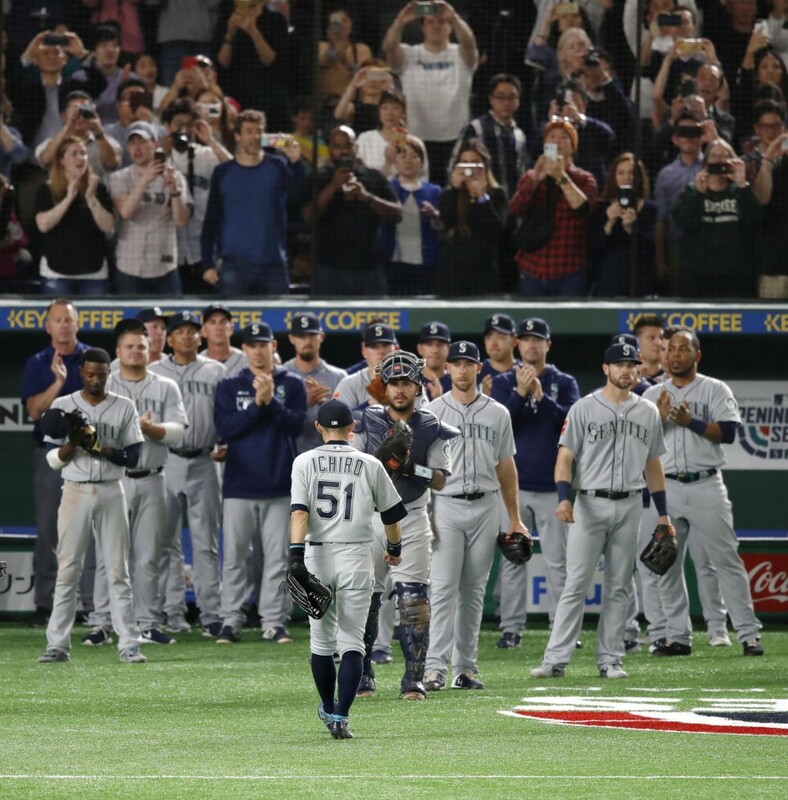 The news that Suzuki would hang it up came as the Mariner's next prospective star from Japan, Yusei Kikuchi, was making his major league debut as the club's starting pitcher at a sold-out Tokyo Dome against the Oakland Athletics. As word spread through the crowd of 46,451 at Tokyo Dome, the applause for Suzuki grew each time he went to the plate or took his position in the field. After going out to right to start the bottom of the eighth inning, Suzuki was called back so players from the A's and Mariners, as well as the fans, could give the unique international star a fitting sendoff. 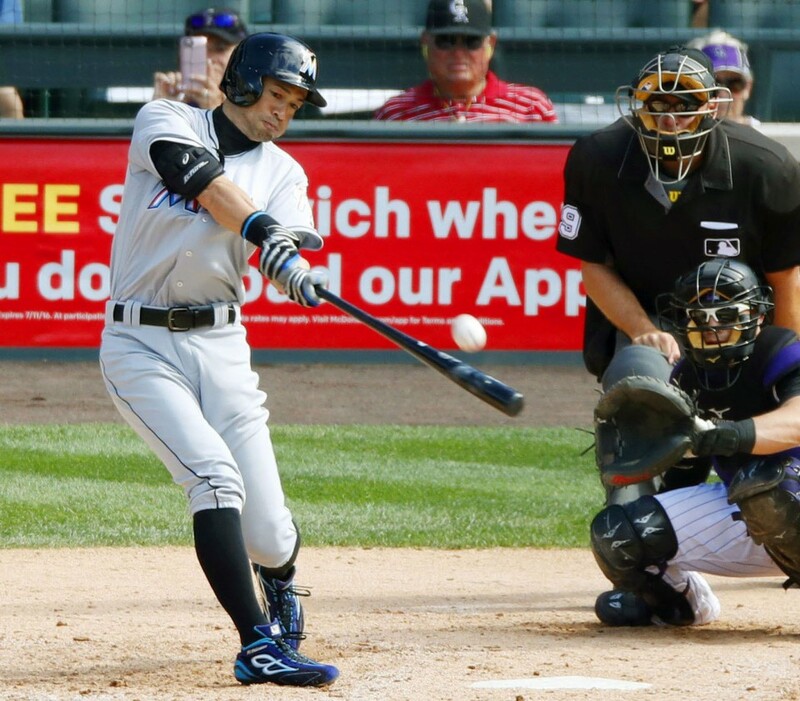 The 45-year-old Suzuki has 3,089 major league hits after leaving Nippon Professional Baseball in 2000 with 1,278. A 10-time All-Star and Gold Glove Award-winner, Suzuki set Major League Baseball's record for hits in a single season with 262 in 2004. 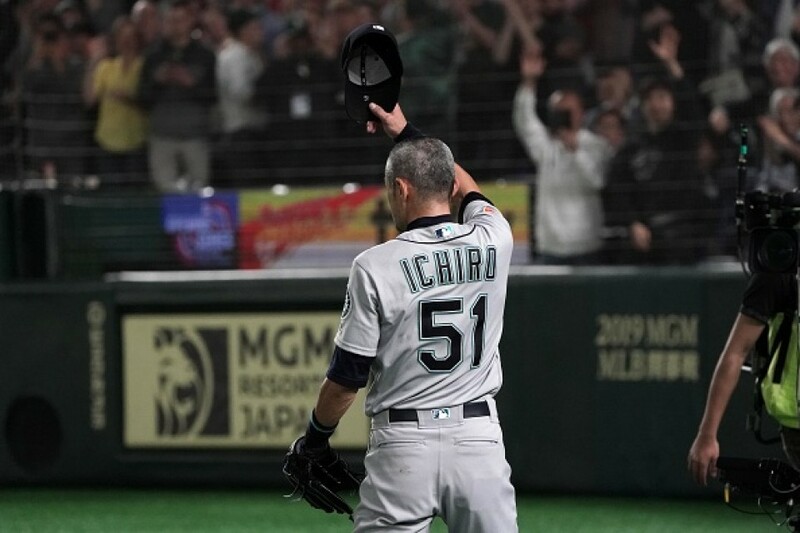 Athletics skipper Bob Melvin, who managed Suzuki in Seattle in 2004, said the veteran's career has been a special ride and noted the respect major leaguers have for Suzuki, demonstrated by his players standing and applauding when Ichiro came out of the game on Opening Day. "He's just an amazing guy," Melvin said. "You don't see it too often where the opposing team comes to the top step of the dugout and applauds a guy coming out of the game like that. It's a special career for the only guy who's done it in the fashion he has on two continents." 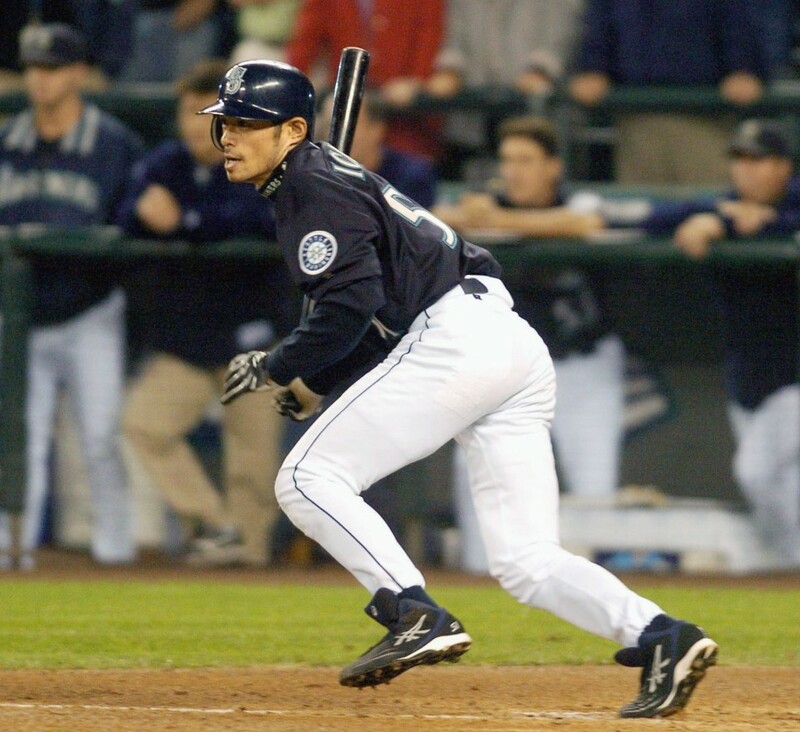 Suzuki took the United States by storm in 2001, when he became a fan favorite on two continents with his unique batting style, speed and defense. That year he won the American League's Rookie of the Year and MVP Awards as he helped lead the Mariners to a record-tying 116-win season. 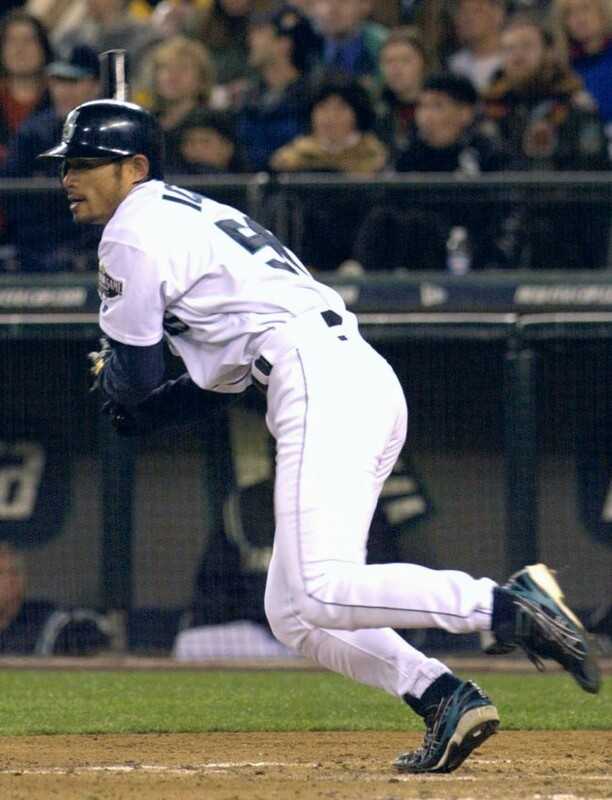 Los Angeles Angels superstar Albert Pujols, who made his MLB debut the same day as Ichiro in 2001 and is also considered a sure thing to enter the National Baseball Hall of Fame on the first ballot, recently talked about Suzuki's impact. "He's been in the big leagues for 19 years and he's doing the same thing, representing not just the Seattle Mariners organization but also Japan and opening doors to that market," Pujols told the Japanese media in Tempe, Arizona. "That's why you see so many Japanese players coming to America -- because of the door he opens for them." Suzuki turned pro in 1992 as the fourth-round pick of the Pacific League's Orix BlueWave, currently the Orix Buffaloes. Although an obvious batting star as an 18-year-old, when he won the Western League batting title, Suzuki was shunned by Orix manager Shozo Doi because of a peculiar batting style that included a pendulum front-leg swing. When Orix hired Hall of Famer Akira Ogi to manage in 1994, the iconoclastic skipper unleashed the young slugger's hidden genius. 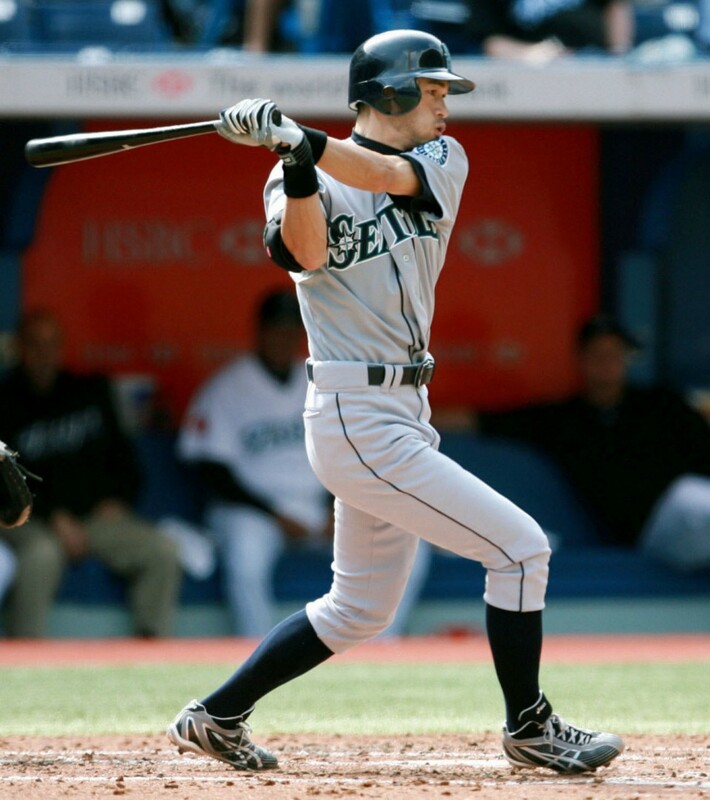 Suzuki changed his registered name to "Ichiro" and won the first of three straight PL MVP awards and seven straight batting titles. The only NPB player with 3,000 career hits is Hall of Famer Isao Harimoto, whose 3,085 are the most ever in the league. What comes next for Suzuki is a good question. But John McLaren, who coached and managed Suzuki with the Mariners, spoke recently with him in Phoenix, Arizona, near the Mariners' spring training facility in Peoria and said it probably would not be managing. "I asked him 'what are you going to do when you retire?'" McLaren told Kyodo News by phone. "He said, 'No. Too much media.'"